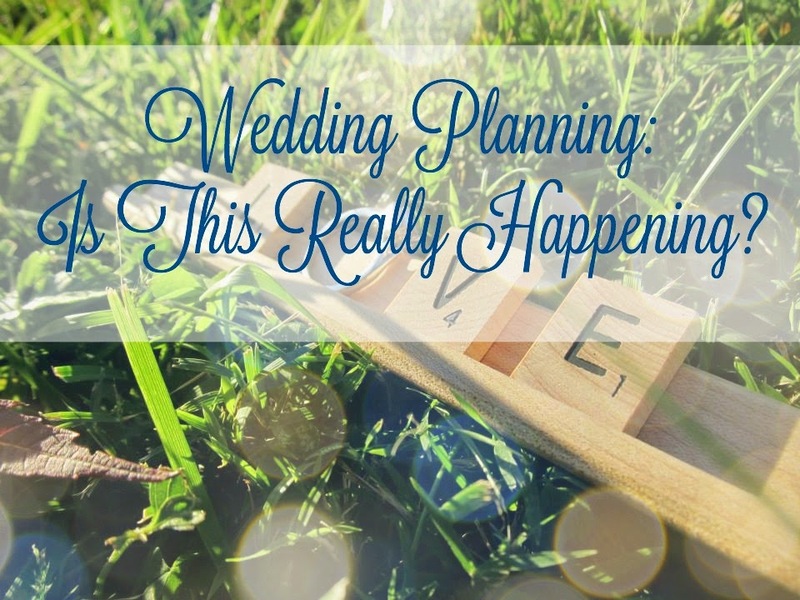 Like I Said Lady: Wedding Planning | Is This Really Happening? I have been struggling to write something that is good and something you will all like to read. So I got thinking...what is going on in my life that you would all be interested to hear??? And it dawned on me! 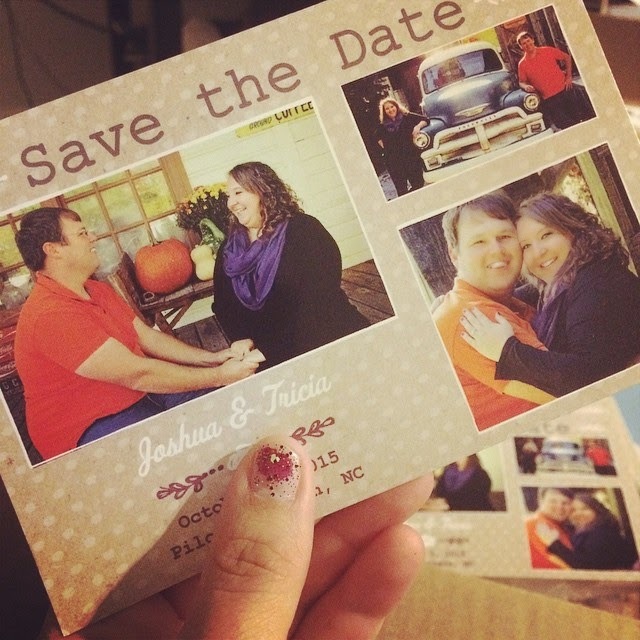 I know you want to hear about wedding planning!!! Right??? Just go with it! My sister is actually fed up with wedding planning, which I find ironic because we have only just begun. We still have so much more to do, but here is a look at what we have accomplished! We finally took our engagement photos!! Yes, in case you were confused...that is what these are! Josh proposed to me on December 13, 2013, so we have been engaged almost a year now, and we want an October wedding, so we decided to wait until October 2014 to take our pictures, and I think they came out wonderful!! We went to Rockford, and the Rockford General Store, and then on to Cody Creek where we really came out of our shell! The reason I don't have a watermark or copyright on them you ask? That is because my mom was actually the photographer, and I was the editor!! I think they really came out great and she did a great job! We were totally nervous to begin with (even though it was only my mom!!) but I think she loosened us up! We had a lot more fun than we thought!! 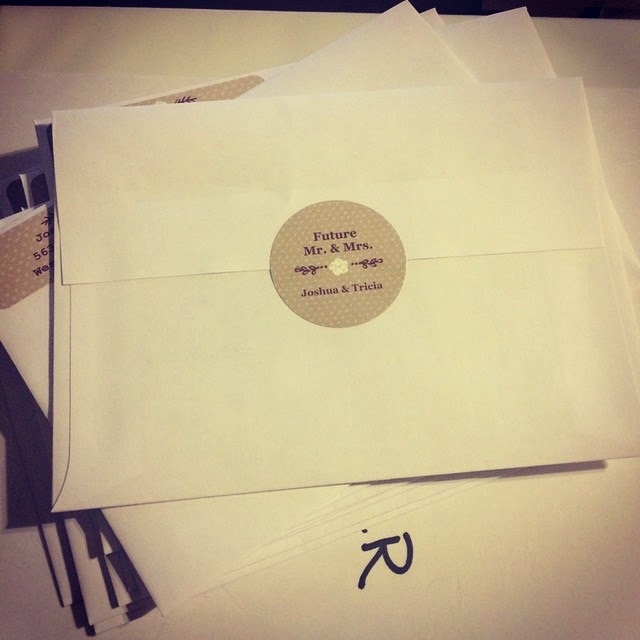 Some are already in the mail!! According to my Wedding Planning app, I am supposed to have all my Save-the-Dates in the mail by November 5. Considering today is the November 4, I don't think that is going to happen, but it was a good try! I am still collecting addresses, and it is actually a lot harder than I thought! Still, it is totally worth it!!! I am still in serious shock because now it feels like this wedding is going to happen! I want it to be amazing, but I am also ready to start my marriage with Joshua. I am so ready to be his wife, and start planning our adventures together! What are you excited for today? Has one upcoming even been occupying your mind? Like I said, let me know! !